Employment for people with spinal cord injuries can be difficult to find. But with evolving workplaces, enabling technologies and a new world of self-employment, opportunities are more plentiful than ever. There’s still a lot to tackle - in this post, Aspire Law looks not only at the obstacles but at the ways people re-enter the workforce after a spinal cord injury. Our recent look at the WHO report, International Perspectives on Spinal Cord Injury, touched briefly on employment of people living with SCI around the world. Internationally, poverty is one of the biggest barriers to independence and employment is, in most economies, the only way out of poverty. But in many countries, there isn’t support, infrastructure or an enabling attitude - leaving many people with SCI in poverty. Studies in the United States found worryingly low rates of employment in people with SCI. Employment outcomes have an effect on longevity and quality of life - so low figures are a cause for alarm. In the UK, a study by Stoke Mandeville Hospital found that after spinal cord injury, only 37% of their study participants were employed. The main reasons for unemployment are lack of accessible workplaces and transport. Chronic pain and care needs are presented as factors, but overall 80% of the study’s participants demonstrated a desire to work. There are steps being taken by the government to improve employment for disabled people, but many feel that the current UK government’s approach to disability is harsh all-round. There have been countless reports of people who are unable to work being stripped of their benefits after being deemed fit for work - with tragic consequences. With that said, there are some 3.4 million disabled people in work in the UK today, and we sincerely hope that number rises. 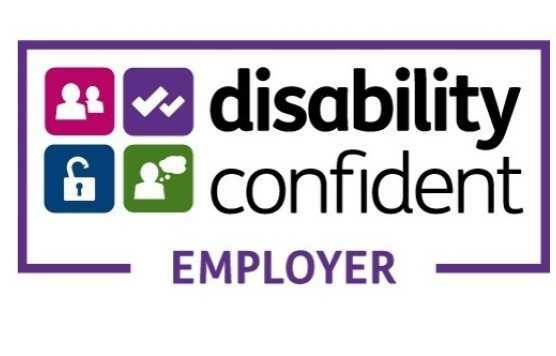 There are some employers who wear the Disability Confident symbol with pride. This symbol means that the employer is committed to employing disabled people and that applicants are guaranteed an interview if they meet the basic conditions for the job. If you’re an employer that wants to sign up to the Disability Confident scheme, apply here. Reentering the workplace isn’t achieved overnight. There are plenty of challenges to face - and at times it can seem impossible to manage your own expectations and the expectations of others. It is not, however, impossible. Shortly after injury, your focus needs to be on your wellness - all aspects of your wellness. Rehabilitation and adaptation for everyday life is paramount. There should be no pressure, so don’t set a time limit - just set a goal. If returning to work is what you aspire to do, then focus on rehabilitation. Only about a third of people who receive specialist inpatient SCI rehabilitation return to work. This largely stems from a belief that they can’t - which simply isn’t true. To help turn the tide, new guidelines on best practice for vocational rehabilitation have been drafted by MASCIP. Vocational Rehabilitation Guidelines is just the latest addition to a raft of quality resources, based on up to date best practice. All of the best practice resources from MASCIP are excellent - produced by an integrated team of professionals with experience and specialism in spinal cord injury. One of the factors affecting employment levels in people with SCI is education level - and with drives to make universities and colleges more inclusive, education is more accessible than ever. Further education is an amazing opportunity and with support, can lead students with SCI to unlock their amazing potential. Read our guide to Spinal Cord Injury and Education, where we talk about finding and funding a place at university. Setting up a home office and transferring skills to the online workplace have created flexible, productive work opportunities for millions of able-bodied and disabled people all over the world. With just a computer and a good internet connection, you’ll have the ability to work for yourself - even with limited mobility and motility. Specialist Employability Support from the government can help you become self-employed, with up to 12 months of support available. If you have a great business idea, the Prince’s Trust could help you if you’re between 18 and 30 years old. Looking for some ideas? Take a look at these. Aspire Law is a specialist law firm, working for people with SCI. We’re dedicated to providing information and support for everyone affected by spinal cord injury. For information and spinal cord injury legal advice, get in touch: give us a call on 0800 030 20 40.